When you start sending HTML emails, or Newsletters for your website to your subscribers, you are bound to find that many clients do not read your emails the same. What looks great in your email client, looks like crap in other email clients. Its bad enough developers had had to use hacks and tweaks to make their websites look the same across all browsers. Formatting emails to look the same is even harder. However using a few guides and analyzing the source from a few emails, I was able to determine how to code an HTML email that will make 99% of your subscribers happy. Recently one of my clients alerted me that the HTML newsletter I built for them is not displaying correctly on outlook 2010. So with a little research I had to figure out the best way to rebuild the newsletter to ensure it displays consistently with all email clients. If you are a developer that is used to using box model designs ( div tags ), then you might want to rethink that approach. Here are my findings. 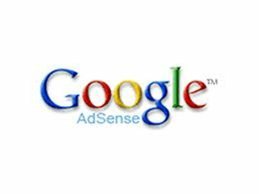 To generate a little revenue from your blog or website google adsense is a great option. But when you an email from google with the subject of "Google Adsense ad serving has been disabled to your site", you suddenly find your only source of revenue gone. This happened to me, but I was able to appeal this and get my Adsense ads turned back on. If you find yourself in this situation and are running borderline adult websites, here are some tips that might help you. The chances are you have received bulk emails from promoters and businesses who use constant contact. Some people are wondering if constant contact is worth it? Recently I had the need to setup one of my clients on constant contact so we could blast to our maillist. Normally we would blast from our own mail server but after the recent move to a new datacenter and getting a new IP, we are starting from scratch with our IP reputation and therefore suffer from terrible delivery rates. Once the major ISPs can figure out what kind of operation we are running our email delivery should return to normal. In this post I discuss Constant Contact's pros and cons from my short term experience with them. How much is my traffic worth? This is often the question many webmasters ask themselves. The answer is not a straight forward one, but after discussing this with a few of my clients I have come up with a way to help you decide how much your traffic is worth. However if you count on Google Adsense you may find yourself disappointed. Adblockers have a place in the world. That place was back when we all were using dial up internet. Now that everyone is on high speed broadband connections, adblockers are doing more harm than good. 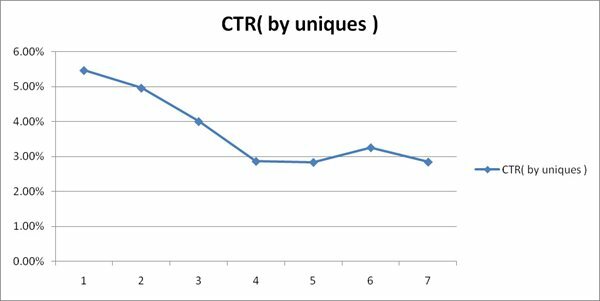 I will show you some concrete data to prove that adblockers are hurting any website that is dependent on Google Adsense for Revenue.